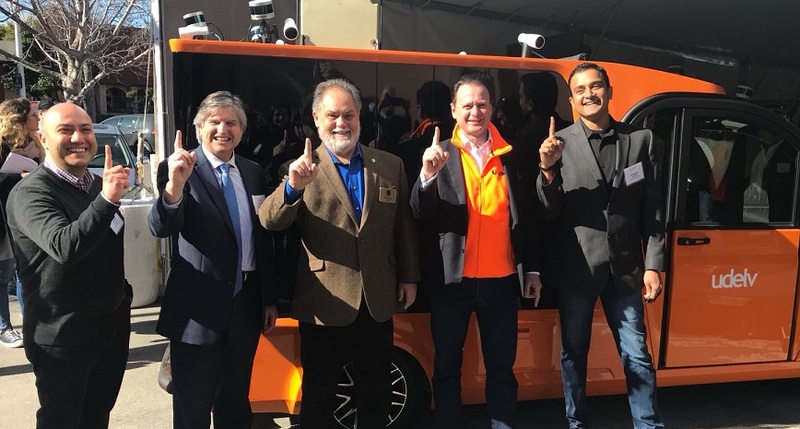 SAN MATEO, CALIF. January 30, 2018 — udelv, a Burlingame, Calif. company, successfully launched its autonomous, last-mile delivery vehicle today and made the world’s first public road test deliveries from Draeger’s Market in San Mateo to two nearby customers. Udelv CEO was joined on stage by Delivery Guys CEO Armen Gasanyan. Udelv has been working in partnership with Delivery Guys who hold the contract for Draeger’s Market deliveries. The partnership has been going on for several months already to perfect the vehicle they will be operating for Draeger’s. 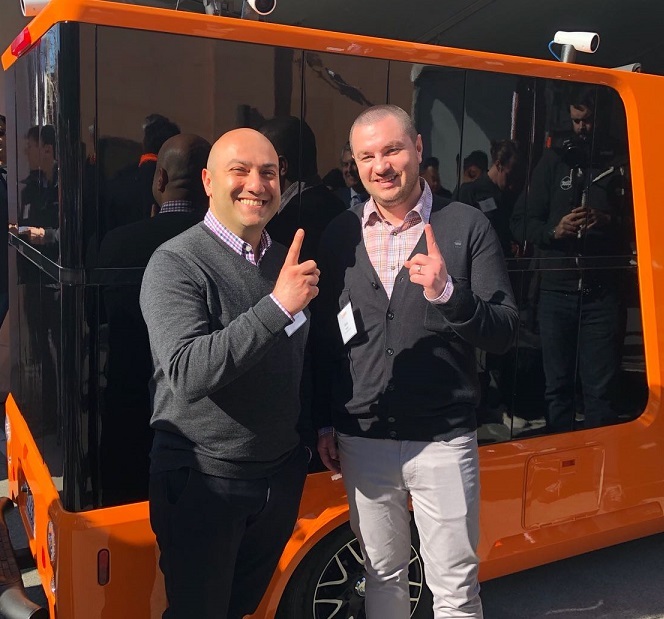 “When I learned about the udelv vehicle, it became clear to me that the technology would greatly help us streamline our process and enable us to continuously improve on timeliness and delivery costs,” said Gasanyan. Following the successful test in San Mateo, udelv and Delivery Guys may expand their partnership to other Delivery Guys clients and will jointly participate at the upcoming National Grocers Association meeting in Las Vegas Feb. 11-14, 2018 as guests of Freshop in the largest booth of the show. 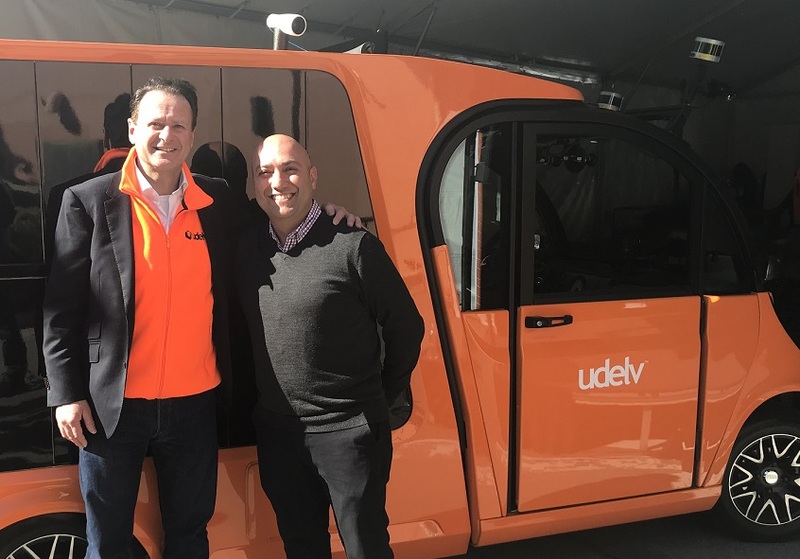 The signature orange udelv vehicle will be displayed in the booth for the duration of the show and the subject of keynote topics at the show. Known as The NGA Show, the meeting is a gathering place for independent retailers and wholesalers to explore the latest technologies, products and solutions. The companies can be found online at www.udelv.com, www.deliveryguys.us and www.freshop.com.